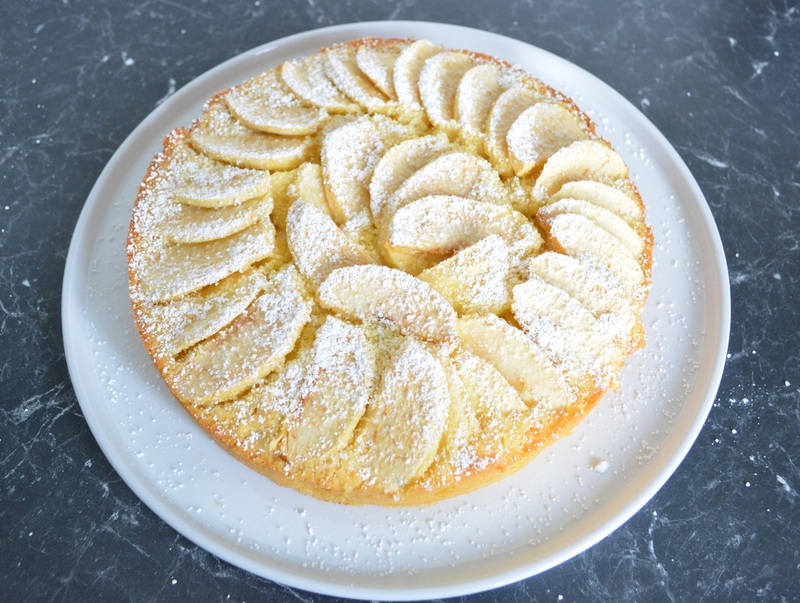 Apple Cakes are always welcome in my house, actually apple based desserts in general are loved in my house. 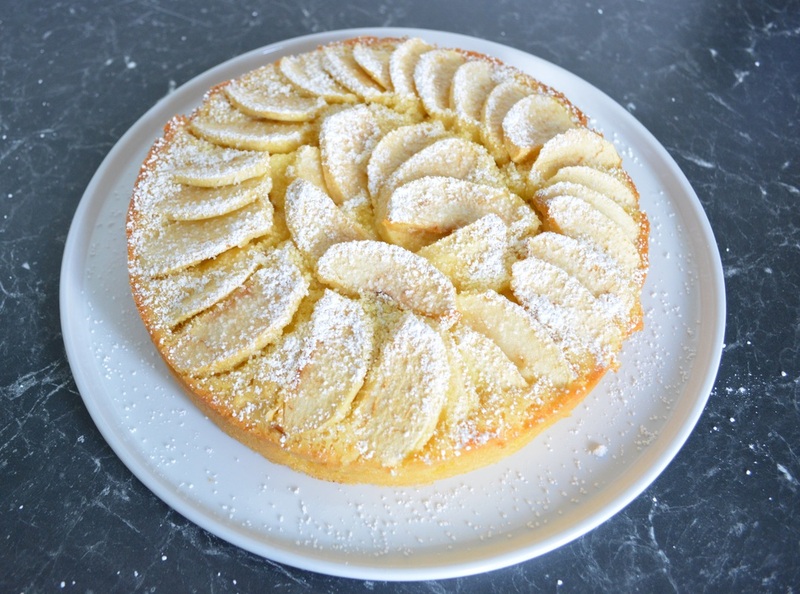 So after making the apple roses, I came across another apple based dessert from Cooking with Manuela (I do love her recipes and videos, take a look at her site, well worth it), this one seemed very easy, so I had to try it. This was delicious. The whole cake was gone in minutes, everyone had a second piece and we loved it. I have since made it a few times and each and every time the recipe works perfectly. On one occasion my 8 year old, who has decided at this moment that he wants to be a chef, made it from scratch, all by himself, it is that easy. 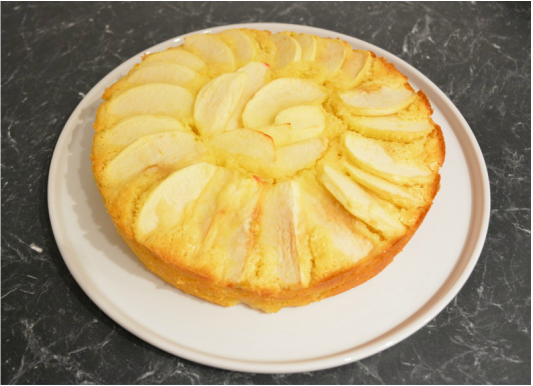 It is a great cake to make if you have a few apples in the house, as the rest of the ingredients are common pantry ingredients. So perfect when unexpected guests are coming over. I have made it with both Pink Lady and Golden Delicious apples, both apples worked perfectly. So if you are looking for a simple sweet treat, try this one, it won't disappoint. Grease and line with baking paper the base and sides of a 23cm round spring form tin. Melt the butter, allow to cool for 5-10 minutes. In a large bowl whisk together the eggs and caster sugar, until well combined. Add the lemon zest, vanilla extract, salt, milk and the cooled melted butter, whisk to combine. Add the flour and baking powder, now using a spoon, mix until well combined. Thinly slice the peeled and cored apples. Place in a bowl, sprinkle with the juice of 1/2 a lemon. This will stop them browning and add flavour to your cake. Add just over 1/2 of the sliced apples to your cake batter (save the nicer looking slices as your decorative slices for your cake top. Larger slices for your apple outer circle, smaller ones for the inner circle). Gently fold the apple slices into the cake batter. 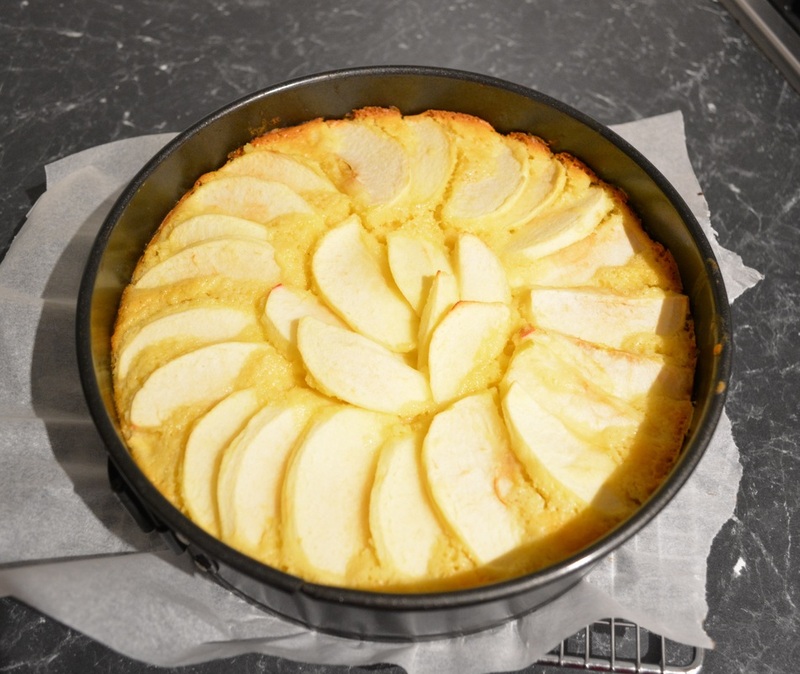 Pour the apple cake batter into your prepared tin and flatten it out to get a level surface. Decorate with your reserved apple slices, starting from the outer edge. Place in your preheated oven and bake for 60 minutes or until golden and cooked through. Use a toothpick or skewer to see if fully cooked. Allow to cool for 5 minutes before releasing sides of tin. Dust the cake with icing sugar, serve warm or cold.